Speedy Assault 4WD wheel is braced by six heavy duty spokes which are curvaceous in design to create a deep centred off road wheel design. Speedy Assault 4WD wheel is braced by six heavy duty spokes which are curvaceous in design to create a deep centred off road wheel design. 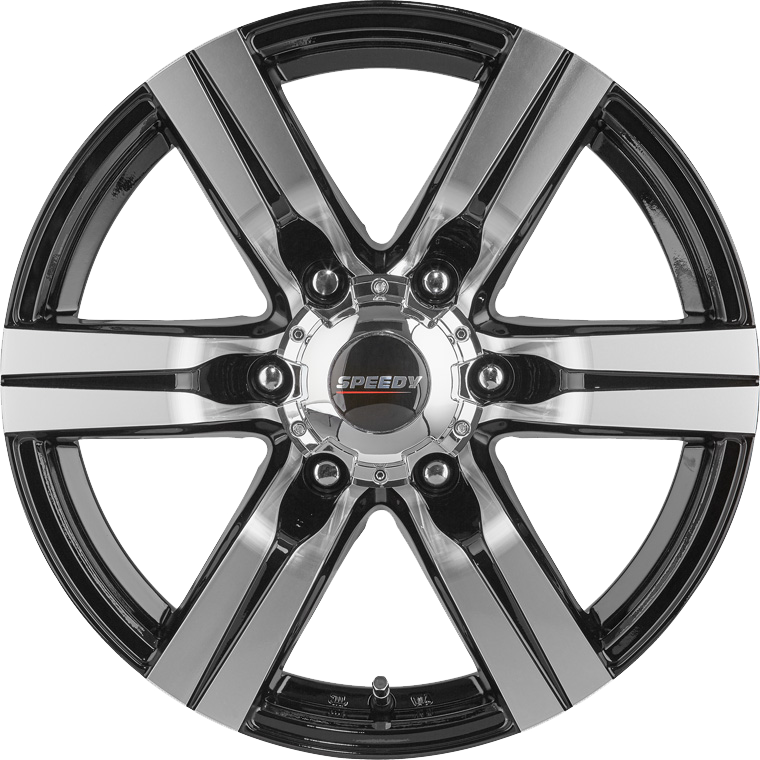 Available in a choice of either full Satin Black finish or Piano Black with Machined Face Spokes, these finish options suit the contemporary overall design of this wheel, which once fitted to the vehicle, will transform the curb appeal of most modern off road vehicle forms.